If the idea of roughing it at a campsite with nature and all that it encompasses doesn’t sound appealing, you’re not alone. Riding this wave, Australia’s growing legion of ‘Glampers’ are making destinations like Sundowner Breakwall Tourist Park in Port Macquarie and Sundower Tiona Tourist Park in Pacific Palms staples on the glamper trail. 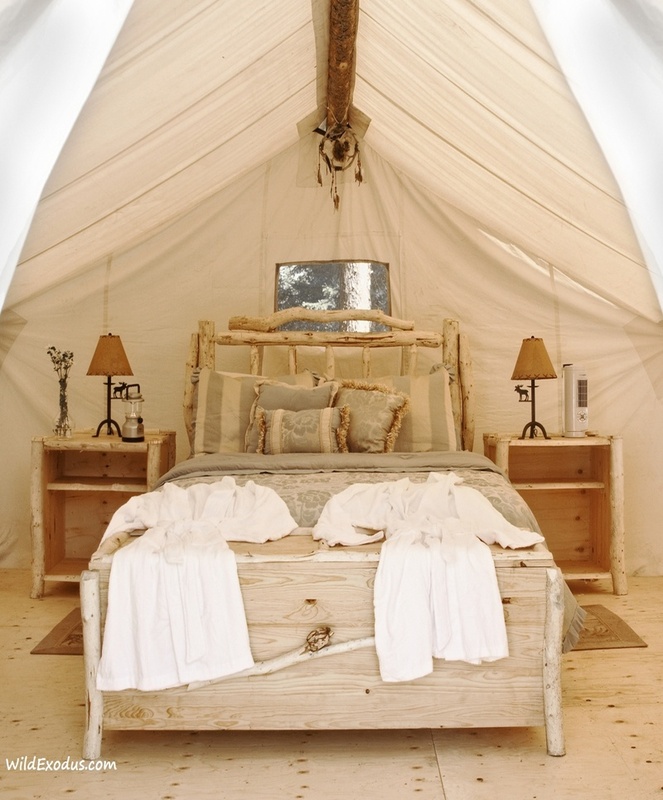 Glamping is the latest trend for those who love a holiday or quick getaway without breaking the budget, such as traditional camping offers, but with the added luxury of bug spray and much more. A full sized mattress, warm shower and easy access to local cafes/restaurants/bars to enjoy a fine meal or cocktail at arm’s reach are all luxuries high on the Glamper’s agenda. Sundowner Holidays director Simon Luke has seen the speedy growth recently at his properties, Sundowner Breakwall Tourist Park in Port Macquarie and Sundowner Tiona Tourist Park in Pacific Palms. And to ensure he keeps up with the demands of the trend, he has created a specific Facebook page for glamping tips and updates for those looking to take advantage of the Sundowner Holidays offering. “The new wave of glampers we have encountered over the past 12 months generally herald from the city, those wanting to get away and escape everyday life. It is definitely a popular way to get away and one that is set to grow rapidly across all ages while times are still tough,” said Simon Luke. 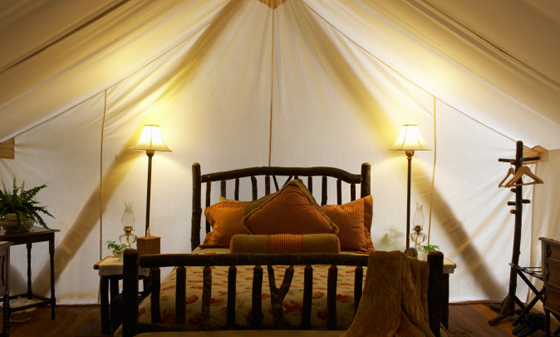 ‘Location location location’ is everything when it comes to glamping. Sundowners Breakwall Tourist Park in Port Macquarie occupies a prime position, walking distance to the cosmopolitan town centre, the pristine Town Beach and Hastings River. The Sundowner crew can offer activities ranging from skydiving, wakeboarding, kayaking with dolphins and surfing to name a few. Nearby to restaurants and nightlife leaves plenty to occupy the discerning Glamper, while a fresh barista made coffee in the morning is essential. “Glampers are city dwellers who don’t necessarily need to stay in top accommodation, so when they glamp, they do it right, comfortably and in beautiful locations,” added Luke. Alternatively, if you’re a couple looking for more of a romantic break, Sundowner Tiona Tourist Park in Pacific Palms provides the perfect getaway to explore the breath-taking coastal scenery between Seven Mile beach and the magnificent Wallis Lake. “Pacific Palms, where Tiona is located, is a small coastal oasis where travellers can experience great local seafood, generous scenery and myriad of activities untainted by development. This is part of the reason glamping has proved so popular in the area” says Mr. Luke. 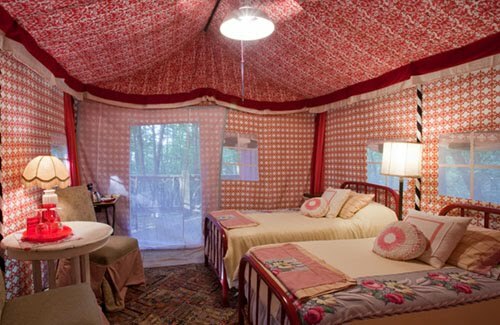 Sundowner Tiona’s magical atmosphere contributes to the ease and lavishness glampers experience at the location. Along with the array of water sports to enjoy with your partner – think kite surfing, snorkelling and surfing – beaches both on site and nearby offer a serene and calm place to walk hand in hand and reinvigorate your love life. Now add to this the ability to charge your iphone, straighten your hair, cook breakfast with the freshest ingredients, and hop into the spa while enjoying the great outdoors, it’s not hard to see why glamping has so many people rethinking their next getaway. For more information on the joys of Glamping contact Sundowner Holidays. 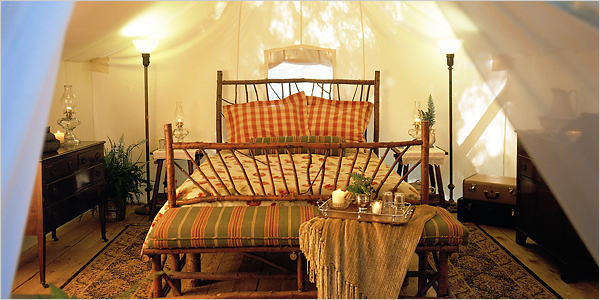 Well humans spent many years without comforts, I like the idea of glamping (never knew it had a name though). I know Venessa me neither, but Glamping does sound fun and a lot easier on your back too.